Nuvo Crystal Drops add eye-catching three-dimensional embellishments quickly and easily to your craft projects. 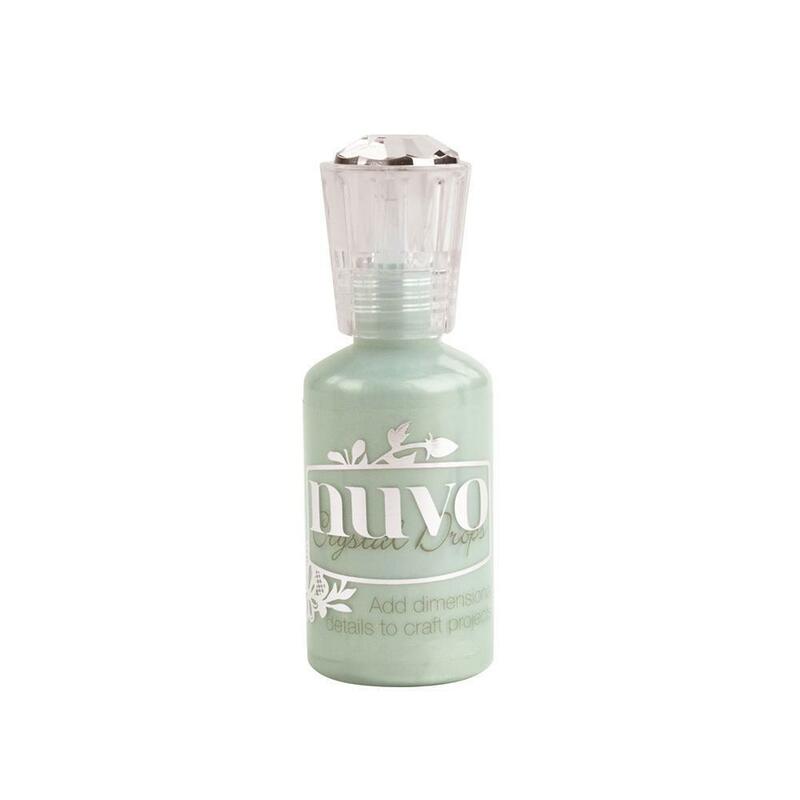 Whether you’re using them to write, stencil or freehand, putting the finishing touches on your design has never been simpler with Nuvo Crystal Drops. Their self-levelling formula ensures rounded dots that keep their shape and stick to a variety of mediums. Use the drops on non-stick sheets or glass to remove and keep for another day. Neptune Turquoise 30ml bottle.